Music is at the heart of what we do here at PAC, and we’re thrilled to offer so many opportunities for musical enrichment. 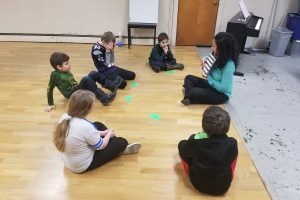 While individual lessons are ideal for some students, these group classes provide a unique opportunity for pursuing a music education. 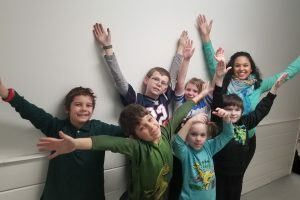 Because of the format of group lessons, we have a wonderful opportunity to allow our students a chance to perform as a part of their group, which only adds to the fun and excitement. We hope you join us in classes today! These classes are designed with kids in mind. They’re fun, engaging, and taught by our amazing PAC instructors. We are especially excited to share with you our new children’s singing classes, which are a big hit with all of our students. Not only do students get to have some fun in class, but all of our music classes finish the session off strong with a performance! Performance after final class, open to families and the public. No experience or audition necessary! 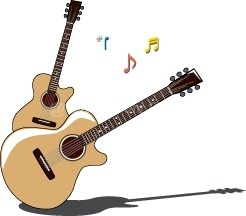 Classes will cover the fundamentals of singing, matching pitch, steady beat, and lots of fun. Children will learn a variety of music, in different styles & from all parts of the world. Here at PAC we value performers of all ages. We are proud to promote our premier music programs for adults, highlighting our current shining star, the Classical Vocal Masterclass. Our talented students are invited to perform at a recital, giving them an opportunity to share their love of music with the world. TUITION: $485 for 10 sessions. Cost includes a recital with date TBD. A Classical Vocal Masterclass for adults (age 16+) will be taught by PAC voice teacher and Opera performer Eliomar Nascimento. The class will focus on polishing the vocal repertoire studied by participants. 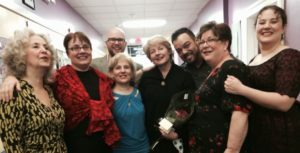 Students are asked to bring three classical art songs and/or Operatic arias to be worked on. This class is open to anyone with classical vocal training. The class will be limited to 10 singers.